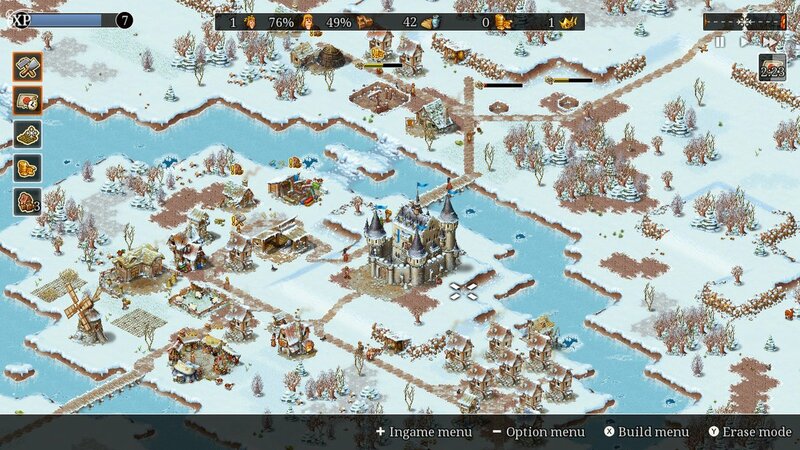 If it wasn't for Project Highrise landing on Nintendo Switch just a week ago, I'd be recommending Townsmen. The Nintendo Switch is a perfect device for city building simulators, but aside from a really (really) poor port of Cities: Skylines and a cheap little mobile port from the week of the Switch console release, there's been a dearth of this stuff on the console. 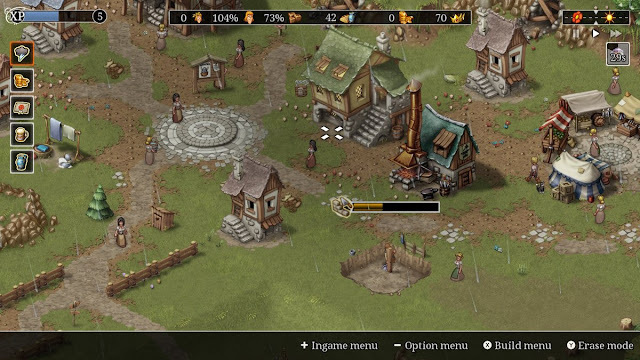 Project Highrise is a very high quality simulator, however, and that means that Townsmen is easy to skip over, even for fans of the genre. 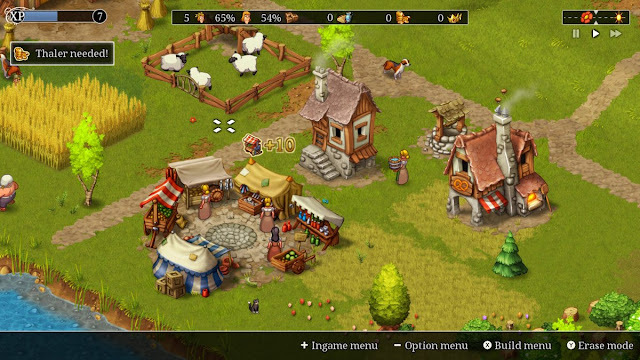 Townsmen is a European medieval-themed town builder, and plays everything by the numbers. You'll start out with a few villagers and a well (for water), and from there need to build buildings to house woodchoppers and farmers, hunters and miners, to provide you with basic resources to keep your people alive (with food, mostly). From there you'll build more complex buildings - smithies and carpenters, bakers, markets and taverns - to produce higher quality goods, make your people happier, allow you to engage in trade, and grow the population further. Manage your town well and you'll have plenty of resources available at all times. Manage it poorly and you'll find your people unhappy and starving, while you try to scrape together enough cash just to keep your buildings from falling apart. And so you'll be watching your village slowly fill up with bustling activity and people running about every which way. It's the same appealing set up of just about every simulation game you've ever come across in the past. One of the biggest issues, however, all-but breaks the game. Within the sandbox mode, which is the most appealing part of the typical simulator, the moment you turn on the "bandit raids" option, you're rolling a dice as to whether there's any point to playing at all. The appearance of bandits is randomised, see, and if they show up they'll set buildings on fire and ruin construction. It is impossible to continue to play on if you're not able to defeat them quickly. Unfortunately for the game, the only way to fight them is to build a network of barracks and guard towers around the village... and you're just not able to do that in the early stages of a game. The resources to construct those buildings are too expensive, and you're going to be too busy building all the other basic bits of infrastructure that you'll need first. You can play without the potential for bandit raids, but that takes a core part of the city planning experience out of the game, which isn't ideal either. 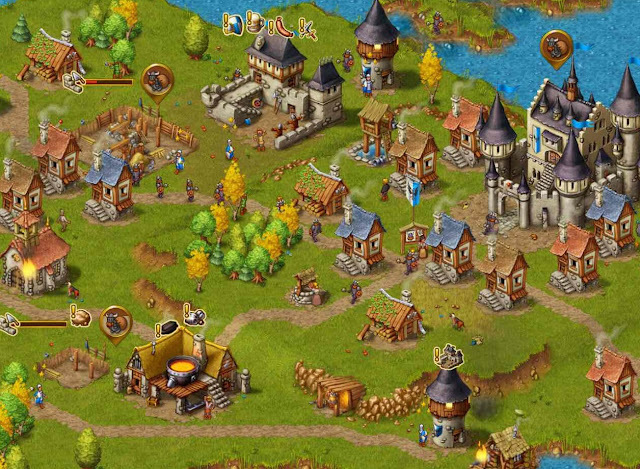 Townsmen needed some way to recruit temporary soldiers to protect the village from attacks until you are ready to build the all-important barracks. Call them "mercenaries" and make them expensive to employ to encourage players to build that barracks sooner rather than later, fine, but making players stress over whether the inevitable bandit raid was going to happen too early and ruin the first hour or so of play is an incredibly counter-intuitive way of doing things. Compounding Townsmen's problems is a generally messy interface. All the information that you need to play the game are is there; the stock list of resources that you have, the priority issues that need to be resolved, and so on, is all accessible. The problem is that so much of it is buried in menus with multiple tabs to cycle through, and it becomes a major pain to deal with once a town becomes a certain size. When you've got a dozen or more little alerts to cycle through, each directing you to a different menu window, Townsmen becomes too fiddly to really enjoy. A final issue again has to do with the all-important sandbox mode. One of the key ways to progress in the game is to complete missions, which are assigned to you at random, and often have a time limit. The problem is that, because they're randomised, you'll often get told that you need to deliver objects like jewelry right from the start. And jewelry, of course, requires some highly advanced buildings that really only become viable once the town is bustling all over the map. So, if the mission is on a timer, you'll almost certainly fail it, or if it's not, it's going to clutter up your "missions" tab for the longest time. There's no penalty for failure, but it's truly frustrating being thrown tasks that you're never going to be able to complete for the point of the game that you're currently at. The alternative to sandbox, the scenario mode, where the developers aren't relying on the same degree of randomisation, is far better, and there are a lot of scenarios to work through. 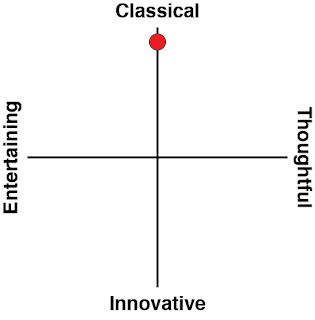 It's not the way I like to play simulation games, but there's a good balance between challenge and range of scenarios here, and you're able to jump into any of them, so if you find one too difficult, you can always try something different. Generally speaking, Townsmen does have a nice personality to it. The art is a little too generic and akin to a mobile game for its own good, but it is at least easy to tell buildings apart from one another, and all the various people look cute enough decked out in clothing that suits their profession. They don't do much though, other than to occasionally wave a fist at the air if they're not happy with what you're doing (and not really explain why they're unhappy - back into the menus you go!). It is, however, nice that Townsmen runs through all four seasons, and the look is different each time. This has an impact on gameplay, too. It's quite easy to run out of food in winter if you're too heavily reliant on grains and breads, for example, because grain won't grow in winter. Despite how it looked in the promo images, I was happy to see that Townsmen wasn't like those casual mobile simulators that have no lose states, allow you to simply build without consequence, and don't require much thought to play. 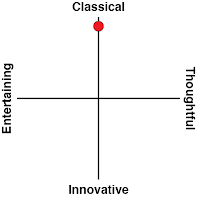 This is a full, proper simulation, with all the complex economies and balances involved with that. 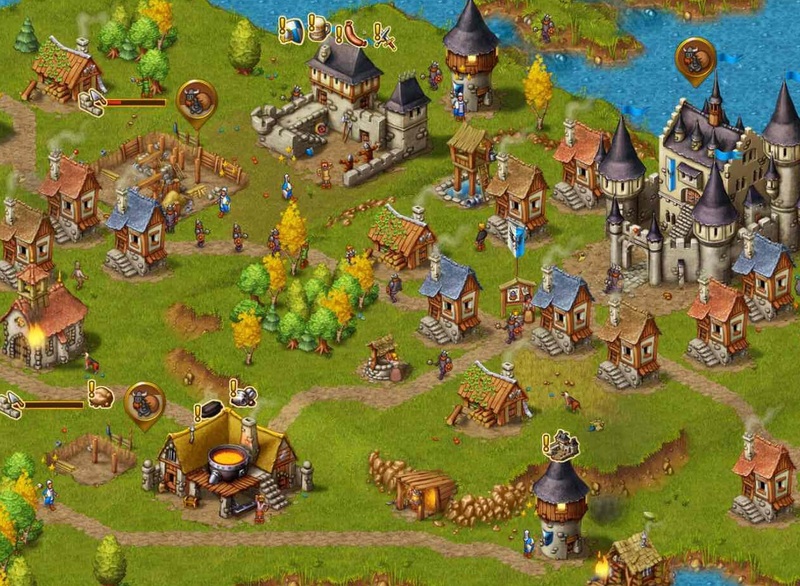 However, over and over again some truly baffling decisions let it down, and while the scenarios justify the asking price in themselves, for any of us that prefer the sandbox mode of the simulations that we play, Townsmen is a complete misfire.